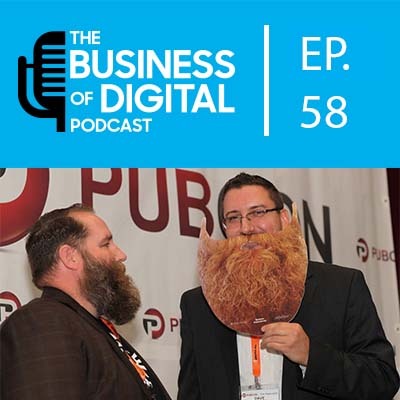 The episode dives into three main topics around building either an in-house digital marketing team or building a digital marketing agency team. The examples the guys dig into can be applied for just about any skill set, so it doesn’t matter if you are hiring an email, paid search, social media, SEO, web developer or something else the methods to grow your team should help you! So quickly what are the three areas? Training – Nothing stops in digital marketing so keeping up with Instagram, New Development Tools/Methods, Google & Bing Changes and so on is something we all need to do. Ongoing Training & Team Building – You invest time and money in your team so why not try and make it hard for them to want to ever leave? The guys give some interview questions and methods to help you find the right person for the right position. Good luck with your hiring! Who do you hire for? Skill? Background? Fit? When you can have outgoing people interview or help hire replacements. Hiring question tip – ask for examples of thinking processes of how people approach their job. The goal is to understand how they approach and solve problems. We all know that things change daily but especially if you are hiring people with no to little experience. List to hear more details on some ways to train those new hires and your veteran team members. Looking at interns is a great way to skip some of the training as they get that in the semester with you. Dave digs into one downside though for taking on new hires/team members that require a high amount of training. The size of your team and company will likely dictate how and when you are able to train people. Larger teams are able to share tips and internally train but also break up the training of new people so that no single person is responsible. To assist with training look at online classes and certifications as well as conferences. Local colleges often offer classes that also can be taken during work or after – have your teams look at those for ways to get additional training. Evaluate if team members are in the right spot. Internally audit where people fit for clients, projects and for their own growth. Continue to look for ways for everyone on the team to grow and succeed. If you are a team leader, be upfront with goals and directions for each team/team member. Track your own time, your team’s time and run an in-house team like an agency. It will help avoid burning out your in-house team.